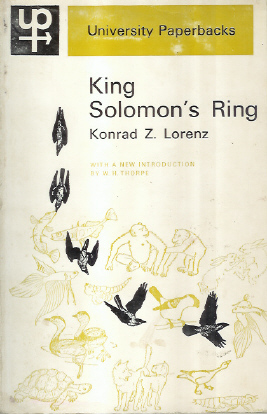 Kalahari Books - King Solomon's ring. Home Kalahari Bookstore Nature King Solomon's ring. ASuthor : Lorenz, Konrad Z. Publisher : Methuen & CO. Ltd. (University Paperbacks).